UpNorth Campfire on a charcoal heather color. Slight taper and soft-style fabric. Cotton/Polyester/Rayon. **NOTE: These shirts run small and we recommend sizing up. This uniquely soft ladies V-neck t-shirt feels like a well-worn favorite! 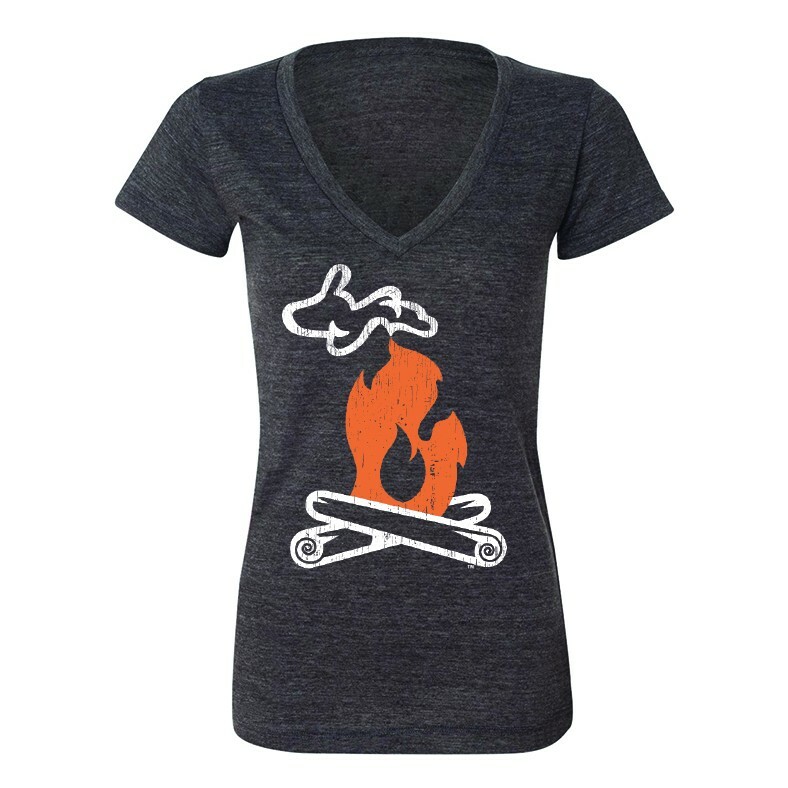 Featuring a distressed UpNorth Campfire logo on a charcoal heather color. It has a slight taper and is made of a soft-style thinner fabric for an attractive fit. *PLEASE NOTE: These shirts have a fit like fashion apparel rather than standard t-shirts, so you may want to size up.